When I suggested a little adventure for Tori and David's engagement session, she replied "the more nature the better!" We picked the Red River Gorge to try and get amazing, sweeping views. This meant a little bit of a haul for them since they are in Louisville. 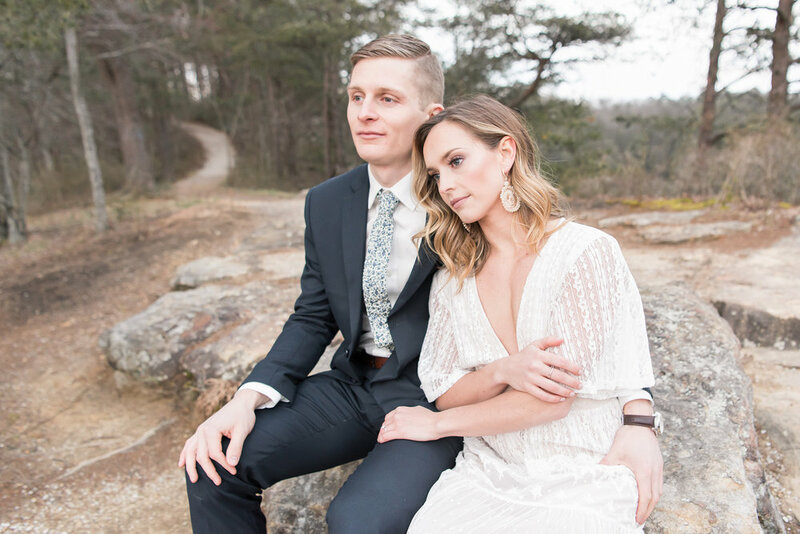 These two, however, are no strangers to travel or adventure, and I loved hearing about their recent global wanderings and plans for their Utah wedding. Sure, the east doesn't haven't quite the dramatic scenery of the west, but that doesn't mean we don't have stunning backdrops! With so many options (so many!) we settled on a spot that had awesome views but was a little longer of a drive on a bumpy gravel road. The trail wasn't long, but definitely had the potential to be muddy. A couple weeks beforehand I went out and the road and trail were covered in snow... but, it melted. Phew. Then we got snow. AGAIN. But, at least for this session, the odds were in our favor and we had one warm stretch, just enough to melt the snow. We watched the weather for days as it flirted between sun and rain and snow and finally the forecast landed on snow and freezing rain... not starting until a handful of hours after our session. Win! Although the clouds moved in towards the end of our time, we still had plenty of beautiful golden light streaming through the trees. I had worked with Tori before their session on styling and they were PERFECT! The muted blues and greys of their first outfit looked magnificent with the winter landscape. And that skirt! Within a week I had ordered one for myself (true story). 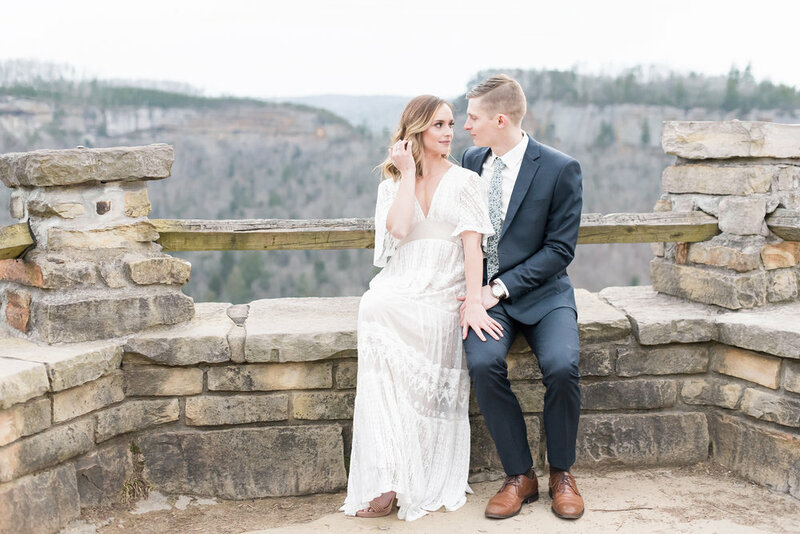 Their second, more formal styles definitely got me thinking how awesome of a spot this would be for an elopement or intimate ceremony. Also, guys, if you have any doubt at all about wearing a suit for your session, I hope this convinces you to reach for one... there's simply no substitute! My favorite moment was when I asked David to sing to Tori in a Mickey Mouse voice, Happy Birthday since her birthday was coming up... and I could hardly shoot from laughing so hard. Even the other sunset-seekers at the overlook were giggling, which just made us all laugh even more. Sure, we were all shivering by the end of the shoot, especially once the sun disappeared, but it was 100% worth it!